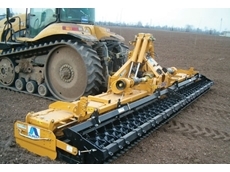 FarmTech plough harrows are able to be adjusted depending on the requirement of the job and are very robust being constructed from steel. 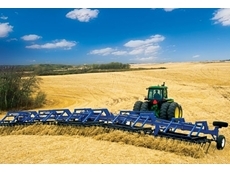 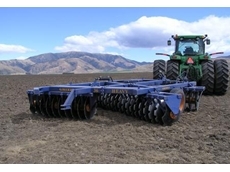 Muratori series of rotary harrows and power harrows are economical, efficient and effective. 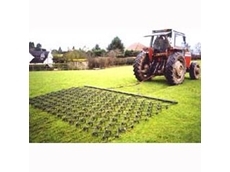 Grass seeders can also be added. 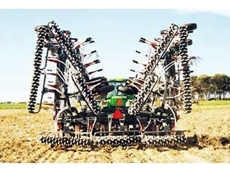 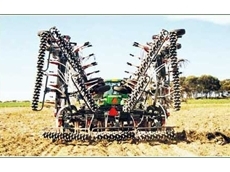 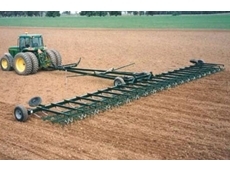 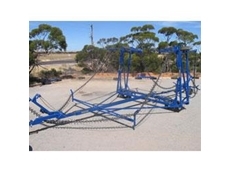 Hydraulic fold diamond harrows are extremely versatile. 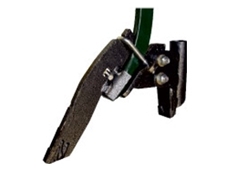 The innovative design of Pahl's double disc coulters means they can be pinned up when not in use. 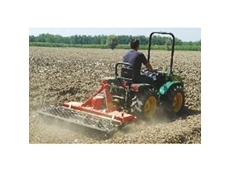 Muddy River Agricultural is a distributor of agricultural machinery, whole goods and parts including bale wrappers, wood chippers, shredders, splitters, spreaders, cultivators, mulchers, rock pickers, cattle feed mixers, grain baggers and more. 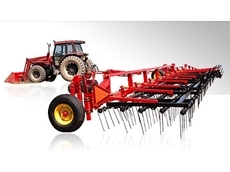 29/01/13 - The 2581 SJ Hydraulic Harrow Bars from K-Line Industries harrow and trash rake on large broad acre farming properties. 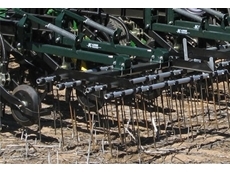 09/11/12 - The K44 poly-tipped harrows from K-Line Industries are ideal for increasing seed soil contact in the presence of trash. 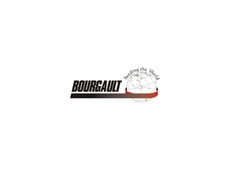 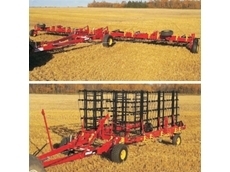 07/11/12 - The 6000 mid harrow from Bourgault Industries is a versatile harrowing unit that is available in two sizes, 70’ or 90’ working widths. 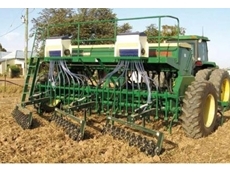 23/10/12 - The ranges of no till harrows from Agmaster are made to complement no till seeding systems. 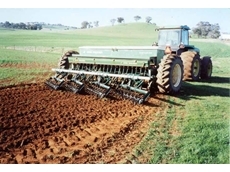 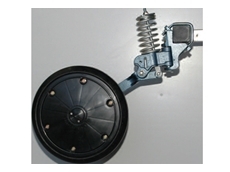 21/02/12 - Grizzly Engineering is an Australian owned manufacturer and exporter of disc ploughs. 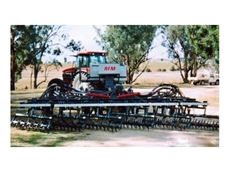 The Grizzly plough was founded on need. 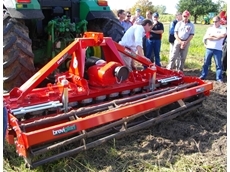 13/05/10 - Silvan Australia has acquired the Australasian importation and distribution rights for the range of equipment including rotary hoes and power harrows from Italian manufacturer Breviglieri. 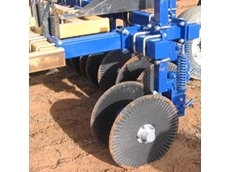 Silvan Australia adds Breviglieri rotary hoes and power harrows to it's range. 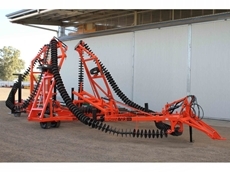 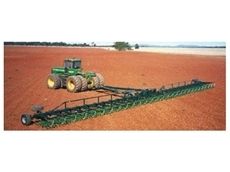 03/05/10 - Silvan Australia has acquired the Australasian importation and distribution rights for the extensive range of powered cultivation equipment including rotary hoes and power harrows from Breviglieri. 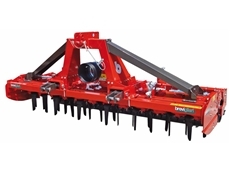 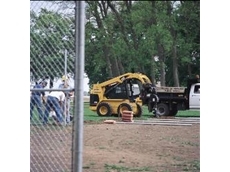 11/08/09 - When moving bulky or palletized materials on construction and industrial sites, handling bagged fertilizer and seed at landscaping and nursery sites Caterpillar Pallet Forks have just what is needed to get the job done. 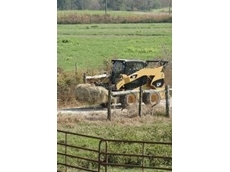 08/07/09 - Caterpillar Utility Grapple Forks are designed to handle light, hard to handle materials encountered on a farm, ranch or landscaping project. 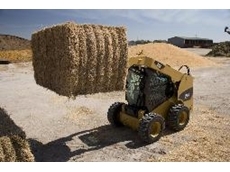 08/07/09 - WesTrac offer the full range of Augers that Caterpillar have built to suit its line of Skid Steer and Multi Terrain Loaders.